There is no Italian law that requires an owner of Bitcoins or other cryptos to declare that he/she owns cryptos, nor does he/she have to pay taxes just because he/she is holding cryptocurrencies. At present, there is no Italian law that regulates taxes due on capital gains obtained from cryptocurrency transactions, such as Bitcoin, Ethereum, Ripple, Litecoin, Iota. For this reason, it is not clear what a taxpayer must do in case he obtains capital gains by buying and selling cryptos. According to many fiscal experts, if you are operating as a private citizen there is no speculative purpose and, thus, your income is not taxable, unless you pass the (equivalent to) €51,645.69 threshold for at least 7 days in a year. A lot of people have been talking about Bitcoin, Ethereum, Ripple, Iota, Cardano, etc., and cryptocurrencies in general. Considering the content of this post, it could be useful to start by clarifying what Bitcoin is, not from an in-depth technological point of view – which could be quite complicated and probably boring for some readers, perhaps information that is easy to find online – but according to the explanation given by the Italian Revenue Agency (Agenzia delle Entrate). So far, the only Italian authority that has officially addressed the “issue” of Bitcoin has been the Italian Revenue Agency, with “Risoluzione n. 72/E“, dated September 2, 2016 (from now on “Resolution”). This Resolution, which does not clearly explain what Bitcoin is nor does it solve in a definitive way any of the issues related to Bitcoin, can be summarized in the following way. Please note that it is a summary and not a literal translation. According to the above-mentioned Resolution, Bitcoin is a “virtual currency”, a.k.a. “cryptocurrency”, used as an alternative to the traditional currency that has legal tender and is issued by a monetary authority (EUR/USD)n1. The circulation of Bitcoins as a means of payment is based on the voluntary acceptance by market operators, who, on the basis of trust, receive the coin as consideration in the exchange of goods and services, thus recognizing the exchange value regardless of a legal obligation. Therefore, it is a decentralized payment system that uses a peer to peer network that is not subject to any specific regulatory discipline or to a central authority that governs its stability in circulation. Furthermore, cryptocurrencies are digital in nature, being created and used on electronic devices such as smartphones, where they are stored in electronic “wallets”. Therefore, Bitcoins are freely accessible and transferable by the owner, who must be in possession of the necessary credentials, at any time without the need for third parties. It should be added that Bitcoins are created (“mining process”) and work thanks to cryptographic codes and complex algorithmic calculations. The exchange of encrypted codes between users takes place by means of a software application. Users use virtual currencies as an alternative to traditional currencies mainly as a means of payment to regulate trade in goods and services, but also for speculative purposes through online platforms that allow the exchange of Bitcoins with other traditional currencies (EUR/USD), based on the relative exchange rate. As anticipated above, there was not much detail in the explanation of Bitcoin and its real applications given by the Agency and, above all, it did not explain that the technology on which Bitcoin is based is the revolutionary Blockchain technology. 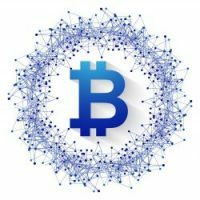 Why is there all this interest in Bitcoin? Bitcoin, and all the other coins (a.k.a. altcoins or alternative coins), generally referred to as cryptocurrencies, is the topic of the moment, for several reasons, among which the following ones can be taken into consideration. First of all, because one single Bitcoin was worth $ 20,000 circa just a few months ago. Its value increased 10000 times in a few years. In 2009, the value of a Bitcoin was a few cents, then in 2011 it rapidly rose to $0.30 and then to more than $ 30. One Bitcoin was worth more than a thousand dollars during the last months of 2013. Over the following years, it went up and down in the range of $200-$700. Starting from April/May 2017 its value went “parabolic” from around $1,000 to $ 20,000 in six months circa. Today, one Bitcoin is worth $9,600 (February 15, 2018), but according to some experts, it could go back up to $20.000, or even $100.000 or more. Even though altcoins did not increase their value like Bitcoin, a lot of them had an incredibly fast growth, in some cases going up 50/70/100% or more in a short period of time, or even in a single day. For example, Ethereum went from $ 250 (September 2017) to $ 1,380 (January 2018) in just four months circa. Considering that a lot of people who were so wise as to buy one or more Bitcoins, or other coins, at an early stage and hold them in their wallets for several days/months/years became millionaires, it is easy to understand why it got so much public attention. Another reason that contributed to its diffusion may be due to the fact that many consider Bitcoin as “digital gold”. Regardless of its price fluctuation, several investors think that holding Bitcoin/s for a long period of time could be a very profitable investment. It needs to be considered that according to the founder of Bitcoin, known with the pseudonym of Satoshi Nakamoto, there will only ever be 21,000,000 Bitcoin in circulation. So, according to some experts, this limited supply will increase its value over time. Furthermore, Bitcoin has captured the interest of many, especially of those who are more tech-savvy, because of its revolutionary technology. As a matter of fact, Bitcoin is based on Blockchain technology. Just to have a very general idea, a Blockchain consists of a series of blocks, which are linked to each other and secured using cryptography. Each block contains a hash of the previous block, and records data. For example, with reference to the buying and selling of cryptocurrencies, every single transaction is recorded into these blocks. Therefore, Blockchain is an open, decentralized, distributed ledger that can record data of every single transaction, including addresses and balances, between two parties. The data is distributed and cannot be deleted or altered, making transactions safe. With this technology it is possible, for example, to record every detail of a cryptocurrency transaction without the need of an intermediary (e.g. a bank). Blockchain technology, originally created by the mysterious Satoshi Nakamoto for Bitcoin in 2008, which is used by almost all the other cryptos, is now entering our everyday lives, and it is considered to have countless applications in almost every field. For this reason, we will need to address this very interesting topic and its possible uses in other posts. Another key element is decentralization. As said above, it is a decentralized system that uses a peer to peer network. It is based on “consensus” and is not subject to a central authority (e.g. ECB). Thus, payments are made directly between two parties without the need of a third party, for example, an intermediary like a bank. Fees are very low, and even cross-border transactions are completed in minutes, with Bitcoin, or seconds, with other coins. There are many other aspects, including some unclear or negative aspects related to cryptos (lack of regulation, volatility, etc. ), that deserve to be investigated in a dedicated post. Should you pay taxes on Bitcoin? The first thing that must be said is that in case a store or a merchant accepts Bitcoin or other cryptos as a means of payment, it will still be a payment made for the purchase of a product or service and, therefore, it is subject to taxes just like when receiving a payment in euros or dollars. So the fact that a store receives the payment for the selling of a product in Bitcoin does not exonerate its owner from issuing a receipt/invoice and paying the related taxes, according to the Italian general rules on taxes on income. Moreover, in the traditional “fiscal world”, what is taxed is not the “tool” itself but the possible profit (capital gain – plusvalenza) which the owner of a tool obtains from selling that tool at a higher price than the purchasing price. For this reason, there is no Italian law that requires an owner of Bitcoins or other cryptos to declare that he/she owns cryptos, nor does he/she have to pay taxes just because he/she is holding cryptocurrencies. At present, there is no Italian law that regulates taxes due on capital gains obtained from cryptocurrency transactions, such as Bitcoin, Ethereum, Ripple, Litecoin, Iota. For this reason, it is not clear what a taxpayer must do in case he obtains capital gains by buying and selling cryptos. Therefore, we need to refer to Resolution no. 72/E of the Italian Revenue Agency, as the only official document on the subject issued by an Italian authority. One important thing that is said in the above-mentioned Resolution is that in case you are making capital gains (plusvalenza) as an entrepreneur in the context of a business activity, your profits will be subject to taxation, according to the general Italian rules on taxation (but in this case no VAT is due). On the contrary, the Resolution clearly expresses that with reference to private citizens these kinds of transactions (buying and selling cryptocurrencies) do not generate taxable income because they lack the speculative purpose. This official statement made by the Agency does not clarify or resolve the issue, rather it only generates more confusion in the taxpayer. As a matter of fact, the Resolution does not clearly state what happens if there is a speculative purpose, or that you have to pay taxes only if you pass a certain threshold, or other. From a literal interpretation, it seems that every time a private citizen is making a transaction there is no speculative purpose, which is very hard to believe. In fact, it is unclear why you should buy and sell cryptos if not for a speculative purpose. So, it appears that if you are operating as an entrepreneur in a business context, your income is taxable, but if you are operating as a private citizen there is no speculative purpose and, thus, the income is not taxable. In light of the above, there are at least three major opinions on this issue among fiscal specialists. Some say that if there is no specific law that obliges you to pay, and if the Revenue Agency says that your income is not taxable if you are a private citizen, this means that you are not required to declare capital gains that are not to be taxed. Should you consider this interpretation a valid one, you might want to consider that if you are making profits, sooner or later you will want to convert cryptos into Fiat currencies (e.g. USD/EUR), and transfer your profits from your exchange/wallet to your bank account. Once you do this, the Italian Revenue Agency, which is empowered to check your account, could ask for clarification about where that money is coming from. A fiscal assessment is not pleasant. Others say that your profits should be declared in your annual tax report as money held abroad. We have to confess that we do not fully understand this solution. It might make sense if you convert your cryptos into Fiat and then hold the money in the exchange, which usually is a website that is generally based abroad. However, in our opinion, this could be complicated if you want to exchange your Fiat into cryptos again after you pay your taxes, and also because at a certain point you will want to take your money back to Italy. According to other specialists, you should declare your profits in your annual tax report, calculating them just like if, for example, you were trading on a forex market, and pay your taxes accordingly. When you buy a coin at a certain price in dollars you generally predict that that coin’s value will go up, so that you will be able to sell it at a higher price (in dollars). So, even if you hold a coin for a long period of time it appears that it is not very different from forex trading, where you buy a currency predicting that its value will go up or down in comparison to the value of another currency to which the first one is paired. In this case, the tax rate will be 26% on your capital gains, but only if you pass the (equivalent to) €51,645.69 threshold for at least 7 days in a year. In our opinion, this last one is the correct solution to the payment of taxes on your capital gains generated on cryptocurrency transactions. So at the moment, it seems that there is a bit of risk associated with whatever you decide to do. If you do not pay taxes on your capital gains, you may be safe for some time, but you will still risk a tax assessment by the Revenue Agency, and/or that you will have to pay taxes later on. On the contrary, if you do pay taxes, for example, based on the 26% rate, you may discover later on that you were not obliged to pay that amount, which will mean that you paid taxes for no reason (although this seems unrealistic to us). Therefore, at this point, the legislator should intervene to clearly establish if, in case of capital gains obtained from cryptocurrency transactions, the taxpayer is required to pay taxes and to what exact extent. While in Italy we are discussing if and how to pay taxes on Bitcoin and altcoin transactions, in Switzerland it is possible to pay taxes with Bitcoins. Will Italy ever get there? n1 Legislative Decree May 25, 2017, no. 90, art. 1., contains a definition of virtual currency.